Add a whimsical touch to your party or wedding with automatic bubble machines. 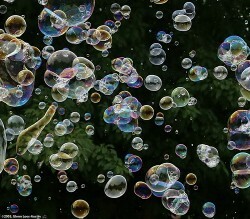 Bubbles are commonly associated with child's play. For that reason, seeing a mass of bubbles automatically brings smiles to our faces. With their shimmering rainbows and various sizes, bubbles say "let's have fun!" That's why bubbles are perfect for adult parties, for chilldren's birthdays, and for wedding receptions. 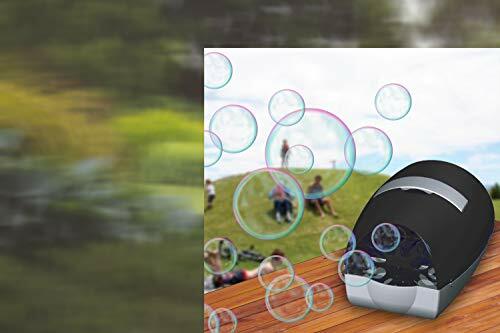 Actually, a bubble machine can be used at most any outdoor event including carnivals and patio parties. Set a whimsical or romantic scene with bubble machines that do all the work for you. 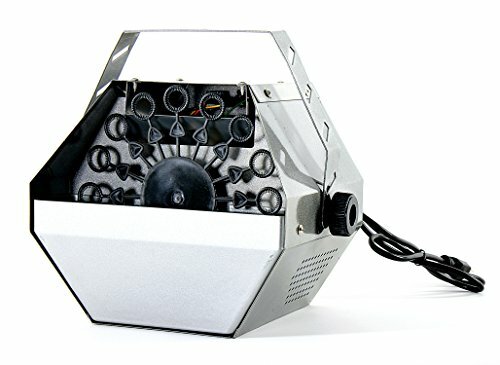 Simply fill up the reservoir with bubble solution, plug in the machine, and turn it on. These bubble machines will produce loads of bubbles for hours on end. SAFETY TIP: Bubble machines are designed to be used outdoors. When used indoors, the bubbles will pop and create a very slippery and potentially dangerous floor. Keep that in mind when choosing a bubble machine. If you want the bubble machine to run continuously, it will have to be outdoors. If it is used indoors, you can operate it for just a minute or two at a time -- more for a short burst of interest rather than a full ocean of bubbles. The Chauvet bubble machine is a powerhorse. It churns out thousands of small sized bubbles each minute. This bubble maker is powered with electricity, not batteries. 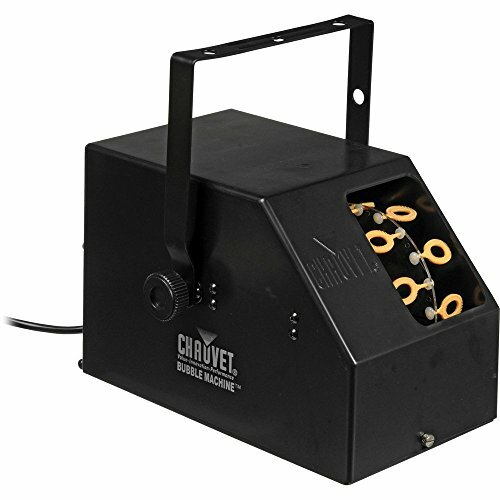 The Chauvet model is very quiet and can use most any type of bubble solution from storebought to homemade. BUBBLE MACHINE USAGE TIP: Before storing your bubble machine and after each use, clean the machine thoroughly. Otherwise the bubble solution will gum up the machinery. It can be cleaned, but it is easier to clean when wet than when dried on. The Turbo Deluxe bubble machine is also powered by electricity and blows bubbles up to 6.6 feet away. It is constructed of durable but somewhat heavy metal. BUBBLE MACHINE OPERATION TIP: Put the bubble maker on a stand or table of some sort and place a fan behind it for maximum bubble coverage. With the maker up high and the fan in the rear, the bubbles will float farther away from the machine. What Do Bubbles Mean to You? 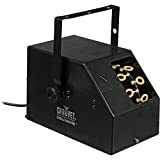 The Black Bubble Machine is a compact, plastic model that runs with either AC adapter (included) or with batteries. That makes this model convenient if you are somewhere without a power source. Its motor is louder than the two models featured above. It is also not as durable as the two models above and also has no on/off switch. It will create bubbles for about 45 minutes before needing to be refilled. Bubble machines are very common on parties. People hire bubble machines to make the party more attractive. Description provided by you about different type of bubble machines is nice.